Out with the old, in with the refined. THINK OF IT AS INFORMED CLARITY. WHERE STRUCTURAL INTEGRITY MEETS SAFETY. Quality of health and safety along with the environment. Founded in “2004” with a mission to build a world class diversified business group with interest in key sectors of the Nigerian economy that is touching lives everyday. Mit-glauben Group has experienced remarkable growth in the Nigerian Agriculture, Research, Engineering, Construction, Environmental Services and Safety, Properties, Oil and Gas, ICT, Haulage and Logistics and Automobile sectors. Run and fully owned by Nigerians, Mit-Glauben has over a hundred indigenous workforce who are highly skilled, experienced and committed to excellence in service delivery. With Mit-Glauben’s vast experience which cuts across her areas of expertise, coupled with affiliations with a number of blue-chip multinational companies, Mit-Glauben delivers safe and cost effective services at the highest level of efficiency to her clients. Mit-Glauben follows due diligence with her clients, and her job delivery process is managed by documented HSE and QA/QC procedures as emphasis on quality permeates the organization and the industry’s best fit-for-purpose equipment is utilized on all jobs. Mit-Glauben headquarters which is strategically located at No.6 Onipinla street Harmony Estate Enclave, off Adeniyi Jones Avenue, Ikeja, Lagos, Nigeria is constructed with state of the art facilities to support the above mentioned services. Mit-Glauben’s management team combine several years of experience gained from key positions in different sectors of the Nigerian economy, and their experience is duly passed on to the younger workforce. Thanks to her core values which includes: Obedience to the Law, Clients Confidentiality, Team work, Operational Excellence and Integrity, Mit-Glauben has been able to build a profitable and sustainable group of companies that are good for investment. We believe in our team. We come from a diverse set of experiences and backgrounds that range from vision mind set entrepreneurs to in-house professionals for quality brands. Our ability to deliver outstanding results for our clients starts with our team of smart, capable humble experts. As unique as we are individually, we share a mutual passion for quality, great technology and doing excellent work for our clients and partners. We pride ourselves on our strategic, integrated approach to public relations and the results it delivers. Get to know your Mitglauben team below. 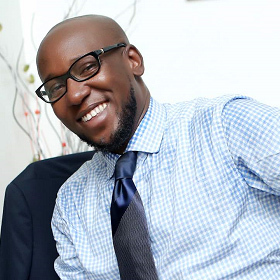 okechukwu is the Founder and CEO of Mitglauben Group, which he started from his room in 2004. During the company’s early years, okechukwu acted as the sole designer and support representative for the entire Mitglauben platform. In addition to running the company and setting overall product strategy, he remains actively involved in many departments of the company that he had previously run himself. okechukwu is a graduate of Microbiology from the University of Calabar, Cross-River State. okechukwu has worked with several “structural engineering firms with a variety of different clients and projects”, before setting up Mitglauben in 2004. He has honed his skills in business having attended many business and professional courses both within and outside Nigeria. 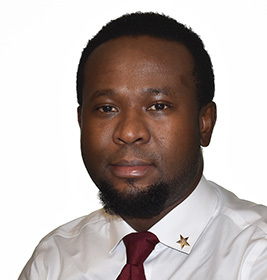 Okechukwu has brought his many years’ business and managerial expertise to bear in the day-to-day management of the Mitglauben Group and has earned a reputation for providing innovative, cost-efficient design and business solutions and value adding leadership in business. okechukwu leads a talented, results-driven team known for its reputation for providing comprehensive, integrated and strategic business counsel that drives real business results. He is dedicated to growing our clienteles’’ desires with flawless execution and a practical approach. He holds many awards and medals from excellent leadership skills and humanitarian services in Rotary and other spheres. He is also the founder and CEO of SS Athanatius and Getrude Foundation. A humanitarian foundation named after his parents that revolve around assisting the less privileged, the poor, the destitute and the handicapped. For okechukwu, working with less privileged children, is one of the most rewarding ways to volunteer. It’s obvious from his first day on assignment that these kids are delighted that someone takes a genuine interest in their lives. okechukwu is married with four children. As a Deputy Managing Director and Chief Operating Officer, chinedu is responsible for business and project development until operation start and to secure projects annual revenue and profitability targets. He works broadly across Mitglauben to optimize processes and systems as the company continues its rapid expansion. With a passion for both rigorous analysis and people, he enjoys implementing and fine-tuning processes that help his colleagues serve clients at ever-increasing levels of excellence and efficiency. He looks at operational excellence from varied perspectives, aiming to optimize the connections between people, process, finance and technology. 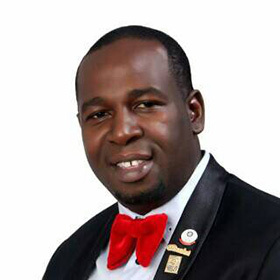 Chinedu is a graduate of Mathematics and Computer Science from the Federal University of Technology Owerri. He also holds a diploma in computer literacy and appreciation as well as a certificate in business management from Damelin Institute of Midrand, South Africa. He was a project manager at Shepherd Chemical Company, USA before joining Mit-Glauben Group. 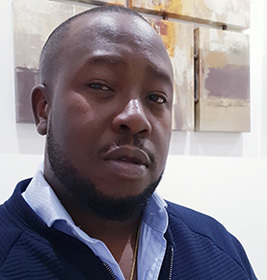 Chinedu is also the founder and CEO of Jamino Careline Foundation South Africa and has brought his insight in marketing, management, and business operations, to the running of Mitglauben. Chinedu is married with four children. As the Chief Financial Officer, Tochi is responsible in providing leadership, direction and management of the company finance and accounting team; managing the processes for financial forecasting and budgets, and overseeing the preparation of all financial reporting. She is held for the integrity and accuracy of Mitglauben accounts , advising on long-term business and financial planning and manages a diverse range of accounting requirements, billing functions and other activities that help keep our company financially sound. Some of the work Tochi is most proud of involves the development of processes and initiatives to improve our accounting structure through the implementation of checks and balances – no small feat in a fast-paced, geographically diverse company like Mitglauben. Tochi graduated from the Abia State University, Abia State with a B.Sc. degree in Accounting and has numerous certifications in accounting. With a strong background in marketing and strategy planning services, chisom fosters and markets the company’s products. He conduct analysis in order to provide an insight into the businesses market approach for the Nigerian and global markets; assisting the business leadership team in order to drive the business strategy. Working closely with the various expert teams at Mitglauben, chisom is responsible for mentoring and guiding the senior strategist and planners, determines project scopes and campaigns that are tailored to create a strong impact for both evolving and established brands; enhancing brand awareness, generating demand, and empowering the sales team to close business. 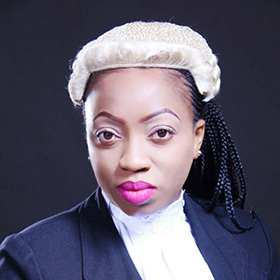 Chisom has multiple degrees (HND Marketing from the Federal Polytechnic, Nekede, Owerri, Imo State), a B.Sc. International Marketing from Birmingham City University, United Kingdom. He also has an MBA (Marketing) and MSC (International Management) respectively from Vancouver Island University, Nanaimo, British Columbia- Canada. Chisom is also an Oracle Certified professional and began his career with Lagos State Waste Management Agency before joining Mit-Glauben where he has risen to become the Group Head, Marketing and Business Development. Chisom is married with two children. As General legal Counsel of Mitglauben, ihuoma oversees the company’s global legal activities and policies across all aspects of the business. She gives accurate and timely counsel to executives in a variety of legal topics (labor law, partnerships, international ventures, corporate finance etc. ); specify internal governance policies and regularly monitor compliance and apply effective risk management techniques and offer proactive advise on possible legal issues. Prior to Mitglauben, she served as Deputy General Counsel of T-afrik Magazine, an Afro-centric publication, a journalist medium for the promotion of Nigerian and African tourism where she led the legal department and provided counsel on a number of areas including editorial content, product, advertising, litigation, and corporate transactions. Ihuoma is married with four children and has a dedicated joy in cooking. Kelechi is the head, project and business development manager in Mitglauben. She foresees the internal development initiatives, implementation and execution of communicating new product developments to prospective clients, overseeing the development of its literature, writing reports and identifying sales leads, pitch goods or services to new clients maintaining a good working relationship with new contacts. Kelechi is grounded in business development, project management, operations, banking and international trade. She is a proven leader and a great innovator. She is a shrewd business woman, detailed negotiator known for strong business development and relationship building skills. Kelechi’s inherent skill to form high-performance teams has acted as a growth spark which has infused productive energy into Mitglauben. She is a graduate of food production engineering from federal university of technology known for her amiable and pleasant personality. She is very creative and has a contagious drive and passion for excellence. She is happily married with beautiful kids. Many near miss incidents are caused by unsafe or unhealthful workplace conditions or hazards. 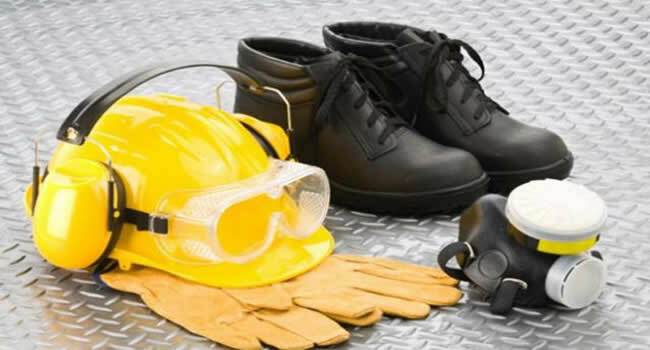 It’s the HSE supervisor’s responsibility to train and periodically remind employees of what to look for and how to correct or report unsafe conditions or hazards. If a hazard is identified, the supervisor must act. As the head, HSE unit, he is responsible for a great deal of safety that goes on day to day in the company; it’s not just a position that solely assigns tasks, he must ensure a safe and healthful workplace for employees. Employees must be able to report unsafe or unhealthful workplace conditions or hazards to a supervisor without fear of reprisal. Under his supervision, his primary responsibilities that supervisors in the area of occupational safety and health for all employees under their supervision covers conduct Orientation and Training of Employees, enforcing Safe Work Practices, correction of Unsafe Conditions, investigate Workplace Accidents and prevent Lingering Unsafe or Unhealthful Workplace Conditions or Hazards. He is a graduate of Federal University of Technology Owerri (FUTO) with a B.Eng in Agricultural Engineering specializing on Soil and Water Engineering. He is an IOSH and NEBOSH certified professional with specialization on management of International Health and safety Unit 2 and control of International workplace Hazard. He is a certified member of The Institution of Occupational Safety and Health (IOSH) Dubai and National Examination Board in Occupational Safety and Health United Kingdom Respectively. He is also a member of the Nigerian Institute of Safety Professional (NISP) with certifications on HSE Competence Development Training (Level 3) SPDC Accredited and general Health, Safety and Environmental Courses. He has a passion in learning other cultures and travelling. As the public relations director for Mitglauben, judith leads a team in the execution of strategic public relations programs for our clients. She brings deep relation expertise across our horizon. 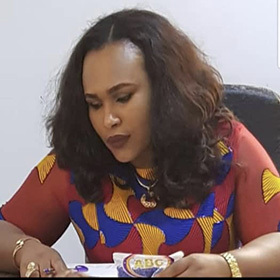 She also brings experience serving an assortment of professional services companies from haulage and Transportation, Oil and Gas, Agricultural products cultivation, health and safety Engineering, IT service providers to IT associations and venture capital firms. Judith is responsible for handling all aspects of planned publicity campaigns and PR activities, planning publicity strategies and campaigns, dealing with enquiries from the public, the press, and related organizations. 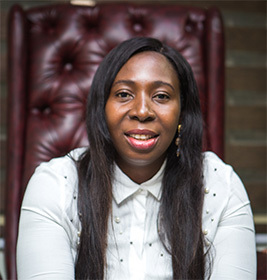 Prior to joining Mitglauben, Judith served as a customer service head for Globacom Nigeria, where she led a team of public relations associates in spearheading and executing public relations, social media and content marketing programs. 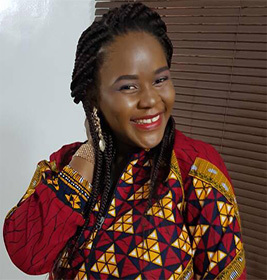 Judith has a Bsc in International Relations with Obafemi Awolowo University, Ile-Ife. She is happily married with two sons’ neme and okechukwu. We are constantly striving for better solutions and services for our clients, although traditional methods are proven for success still we try to bring new aspects to better solutions. We provide equal opportunities to all for their development and achieve the success they deserve. We help them grow as we grow and prosper. Mit-Glauben Engineering Limited…where experience meets expertise. Mit-Glauben Engineering Limited takes great pride in its engineering services as she provides a range of structural engineering services. It has years of experience working on a wide range of projects, from multi-family housing to commercial developments. Mit-Glauben Engineering has the expertise and engineering talent to bring designs and ideas to life. Mit-GlaubenEngineering has earned a reputation for being one of the most cost-efficient and reliable engineering firms in the business in Nigeria, helping it develop a loyal client base. 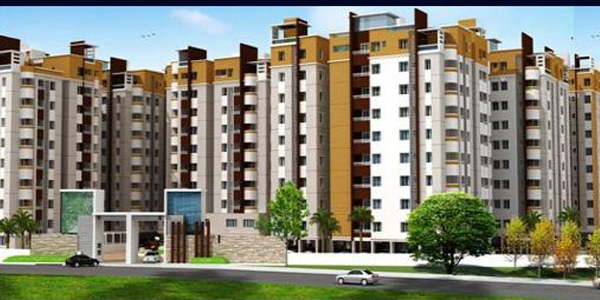 Mit-Glauben Engineering immerses itself in all relevant aspects of a project, working diligently with developers, architects and contractors to ensure a project is built on time and stays within budget. to ensure the best of operational efficiency to yield desired results. When it comes to forming teams to work on projects, Mit-Glauben Engineering ensures that every team reflects the complexity of the project and she focuses not only on building but providing building solutions. What separates Mit-Glauben Engineering from its competition is its expertise. The reason clients continue to use Mit-Glauben is because it incorporates current design trends and construction practices in its engineering solutions. Mit-Glauben Engineering’s years of project insights combined with a highly motivated staff helps it deliver reliable engineering solutions to clients. 1. Project Experience: Mit-Glauben Engineering staff has provided services on over 500 projects around the Nigeria. This has given Mit-Glauben Engineering insight into developing the best solutions for a variety of construction challenges. Mit-Glauben experience in engineering and design services has made her one of the most trusted firms in the industry. 2. 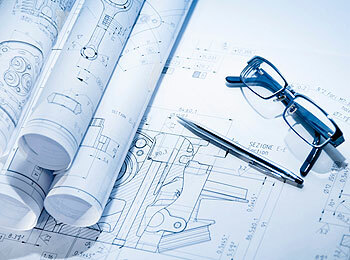 Design Expertise: Mit-Glauben Engineering trains its staff on using the latest software and technology in order to enhance our engineering services. Tools that improve the speed and precision of Mit-Glauben Engineering, which saves cost for our clients. 3. Customer Service: Mit-Glauben Engineering is dedicated to communicating and providing attention to each client. Our project managers make themselves available to talk with owners, developers, and contractors to ensure that project progress is streamlined and efficient. 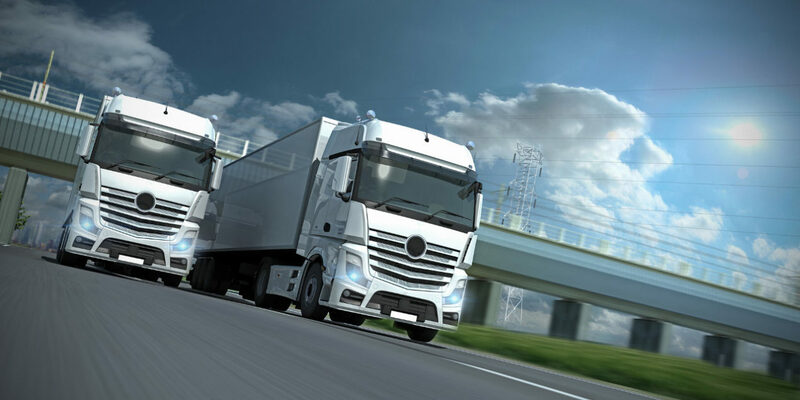 MIT-GLAUBEN is a prime leader in distributing haulage services throughout Nigeria and West Africa. We deliver prompt service through and fro within the region. We take care of the market we live in, whether it is people, ideas or capital all are profited equally for the further market base, with properties that are reasonable and fruitful. potential shortcomings of construction documents prior to breaking ground. This technical competency allows us to review drawings before construction even begins. Once it does, we continue to monitor building techniques and processes to provide compliance and ensure construction accountability for our clients. 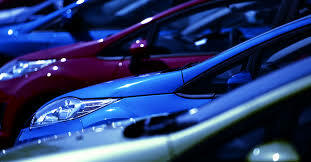 We have MIT-GLAUBEN Autos which provides a platform from where you can buy new or old cars at fair and good prices, so your dream car is not far away. At Mit-Glauben we strictly believe that HSE is a responsibility that is to be shared by every member of the company. It is a part of the core fundamental ethics observed at Mit-Glauben. In order to ensure that our HSE management system goes through a process of constant improvement and development, we rely on the Total Quality Management principle. This allows us to integrate HSE aspects with a more proactive management system. The HSE management system of Mit-Glauben is to supervise the operations to make sure that accident and injuries are avoided. Such incidents may have a number of consequences for the project as well as operational interruption and loss of assets. The existence of a solid HSE policy and its efficient functioning is the result of clear and effective HSE leadership. The HSE leadership ensures that there are sufficient resources available for the operation of the company’s HSE plan. This is necessary to achieve the predefined objectives. The commitment of the company towards HSE is reflected by the fact that we are in the process of improving our HSE department by including more than 10 experienced employees. This department will ensure compliance monitoring and will supervise the HSE MS in order to move towards better results. Proven performance and variety of options – that’s what we stand to offer. By combining conventional and new technologies, Mit-Glauben is delivering solutions to help meet the needs of a growing population whose demand for agricultural products and seeds continues to increase. Mit-Glauben knows the importance of maximizing farmland productivity and sustainability for today and tomorrow. 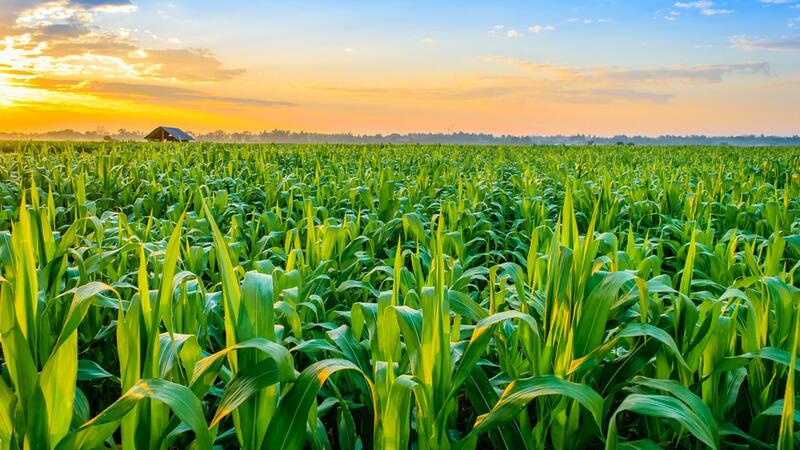 We are always committed to increasing food production with high quality products and agronomic knowledge that maximizes agricultural productivity with the right product on the right space of land. We are working on bringing in new agricultural seeds and using new technologies to help bring our farm to the greatest value and ultimately benefit the entire food and energy value chain. At Mit-Glauben, we believe that the answers to the greatest challenges facing humanity can be found through inclusive innovation. By working together, with more people in more sectors than ever before, we can find new and better ways to solve global challenges and provide for the food and protection needs of the world’s growing population. Here at Mit-Glauben, that’s how we work best — alongside others, applying a vast range of scientific expertise and knowledge to some of the world’s most complex problems. LET’S PROTECT WHAT MATTERS MOST. We are determined to provide growers with technologies and solutions to improve the productivity and sustainability of their farming operations without having a strong effect on the environmental balance. Driven by the vision to empower farmers to turn their ideas into certainty, we use innovative ideas and cutting-edge technology to create solutions in insect, weed and disease control. These innovative ideas are put to work to protect our crops and products. We believe there’s more to agriculture than a healthy and profitable crop; therefore we are on a positive quest to find productive, effective and sustainable ways of farming for one generation to the next.